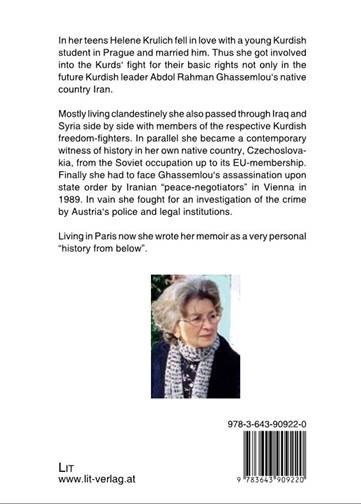 The reminiscences of Dr Abdol Rahman Ghassemlou’s widow, Helen Krulich-Ghassemlou, are now available in English as well: “Love against all Reason – A European Woman Involved in the Kurdish Fight for Freedom in Iran” was published by LIT Verlag, Zurich branch in August 2017. The book is available in altogether four languages now (see below for details of how to order copies). The French original appeared in 2011 in Paris. 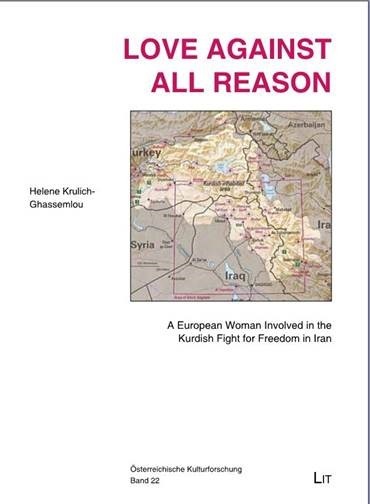 Meanwhile Kurdish, Turkish and German translations have been published as well. A Persian version was printed clandestinely by an unknown publisher. Thus it is practically unavailable. The enlarged English edition is based on the French one and reedited by the author. It contains some new chapters about the author’s childhood and other amendments.